The world’s favorite Time Lord will be back. BBC has renewed Doctor Who for an eighth season. The news was announced this weekend and current the Doctor, Matt Smith, is on board. As part of the announcement, BBC teased that the 50th anniversary special will air on November 23rd in the UK and it will feature Smith, Jenna-Louise Coleman, David Tennant, Billie Piper, and John Hurt. Regarding the eighth season, BBC says that executive producer Steven Moffat is “already plotting a brand new run of adventures for the Doctor.” Brian Minchin is joining Moffat as executive producer. What do you think? Are you looking forward to the big special? How long would you like to see Smith continue in the show’s lead role? 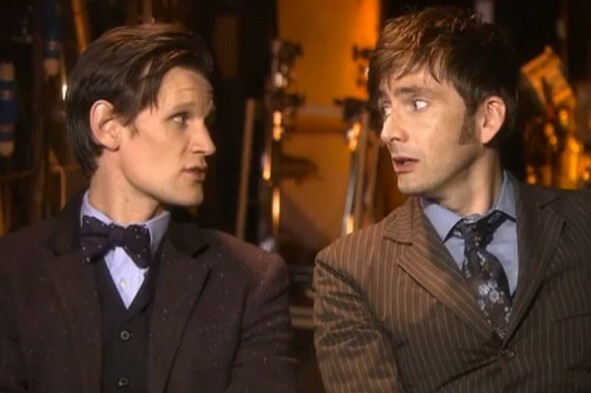 Matt can stay around as the Doctor as long as he wants. He’s doing a great job! Um…Matt Smith is NOT OFFICIALLY CONFIRMED to be around for series 8… Only the head writer/executive producer is confirmed.